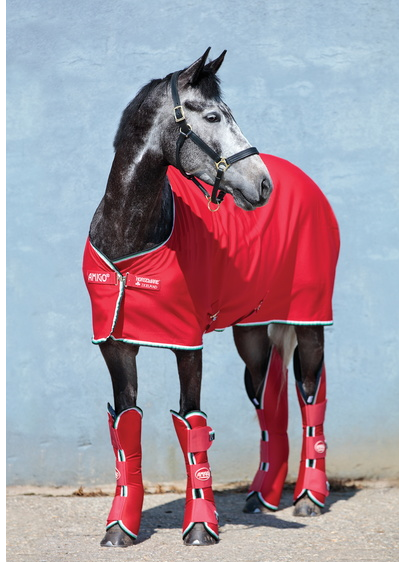 Keep your horse warm while cooling down. 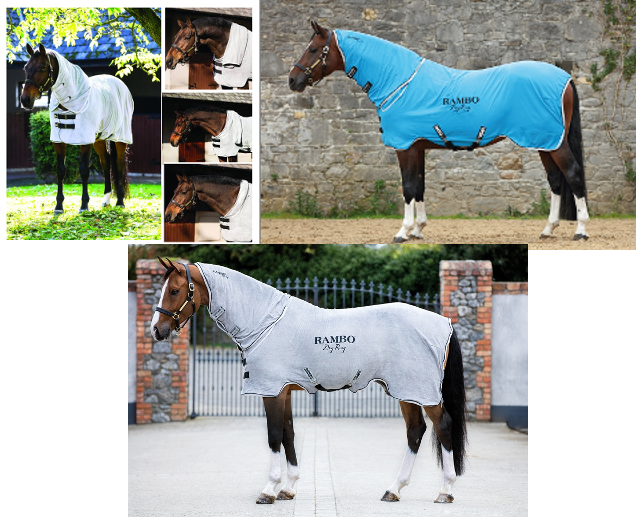 The Rambo Cotton Cooler allows your horse to cool down gradually and avoid catching a chill. Cotton-rich, knitted fabric. Classic cut cooler, smooth outer so as not to trap shavings and a brushed soft inner to help absorb moisture and wick it away. With a single front closure and hidden surcingle and fillet string. Dual effectiveness cooler. 3D constructed airmesh top with a soft absorbent inner to wick moisture. Air textured polyester block sides, also with an absorbent outer to wick away moisture, and to maintain high air circulation. Featuring Horseware® logo neck branding, hidden removable surcingle, fillet string and our classic cooler cut. 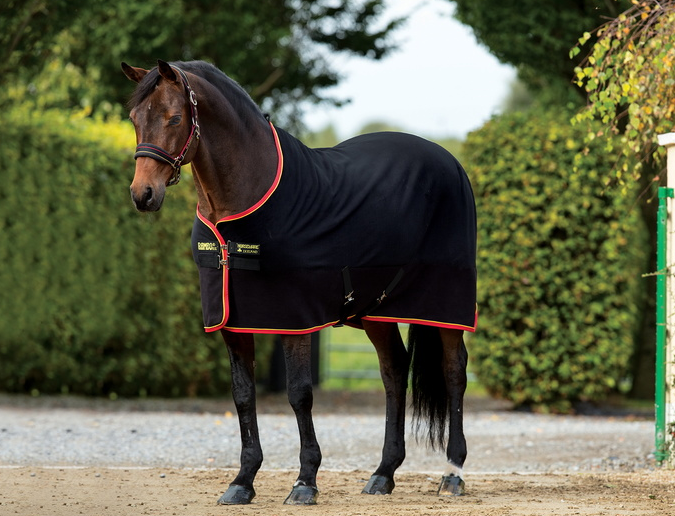 A dual effectiveness cooler provides the ultimate warm weather cooler preventing the horse from overheating on those hot days. The top is made from cotton rich material with super wicking ability. Contoured net sides allow free flow of air for fast drying. Panel sections are perfect for customization with removable cross surcingles. Comes with a handy storage/ wash bag. Air texturized polyester block net fabric makes a strong but very absorbent out to wick away moisture with high air circulation. The latest in moisture management technology. The white fabric helps reflect the heat of the sun, while the waffle design with moisture management helps dry your horse quickly, and effectively wick away sweat. Double front closures, cross surcingles and fillet string as standard. 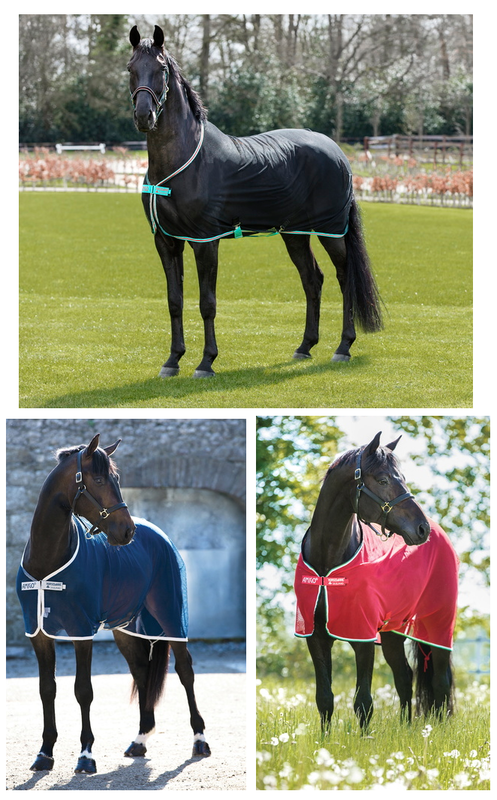 Made from airmesh fabric with a soft absorbent inner to wick moisture, while air pockets keep the horse warm. Made from high quality double bonded anti-pilling fleece. 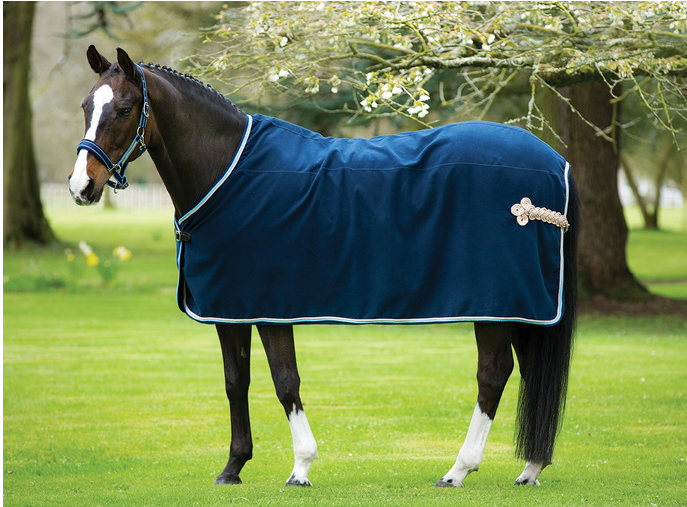 Made from high quality double bonded, anti-pilling fleece with a cosy padded fleece collar. 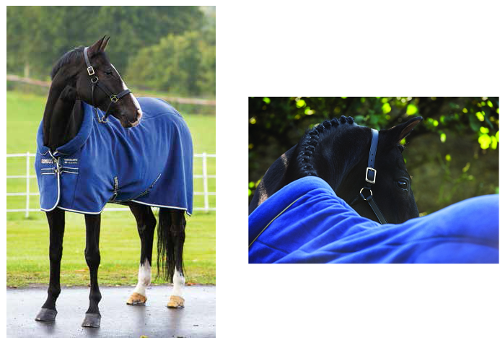 This super quality fleece with a snug padded collar effectively wicks moisture, keeping your horse warm and allowing gradual cooling. Cut to our classic design, with double front closures and cross surcingles. Suitable for use in the stable or travelling. 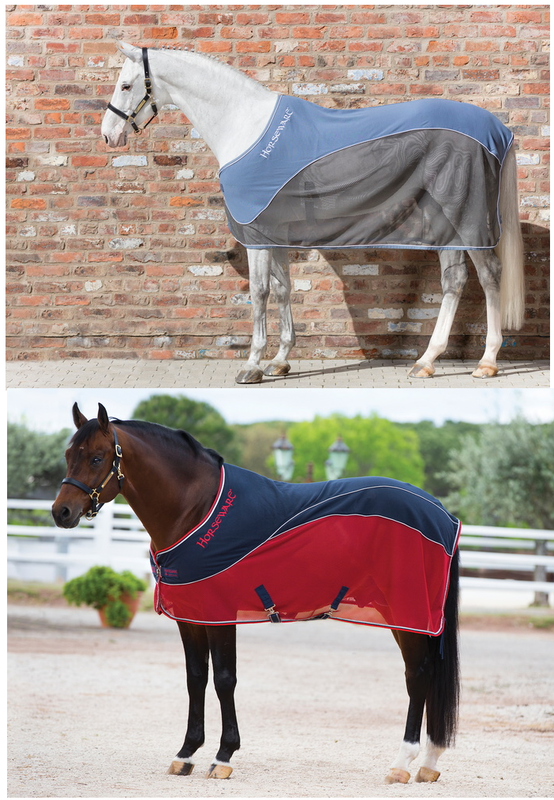 The best selling Dry Rug now comes in 2 options. 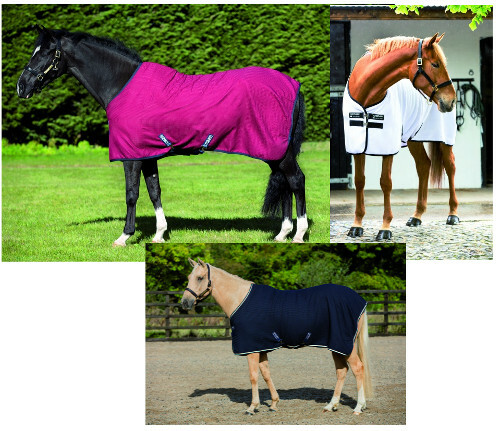 Still available in the popular Microfiber Towelling cloth, it is also now available in a super lightweight Polar Fleece, both offering the same fantastic features with super absorbing and fast drying fabrics. 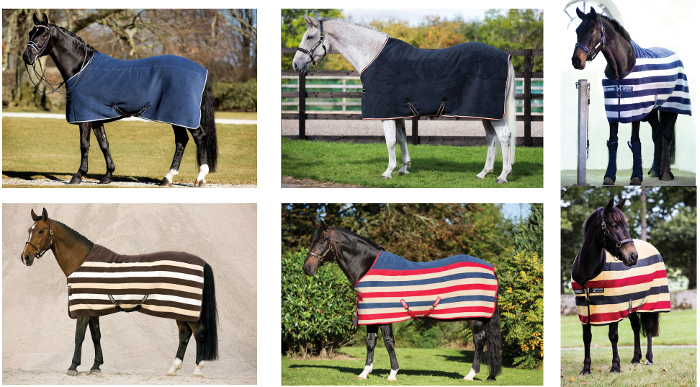 With a smart hide-away hood, these Quick Dry rugs dry your horse in record time, and preventing your stable blankets becoming damp and wet, absorbing moisture to leave a high gloss and smooth finish. Roll up the hood to dry mane and neck, and roll back into a hide-away pocket. Elasticated cross surcingles and an adjustable multi-fit front ensure a close contact fit. 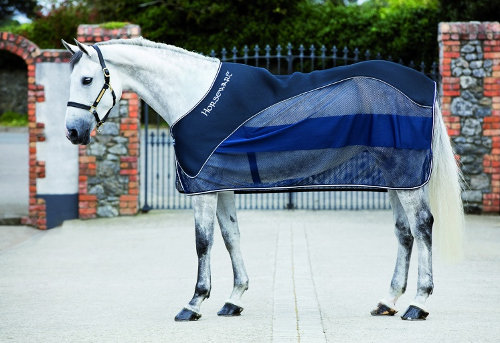 Horseware would like to inform people that due to the high wicking tendancy of the material used in the 'Grey' Dry Rug, that bedding will stick to it and be hard to remove. 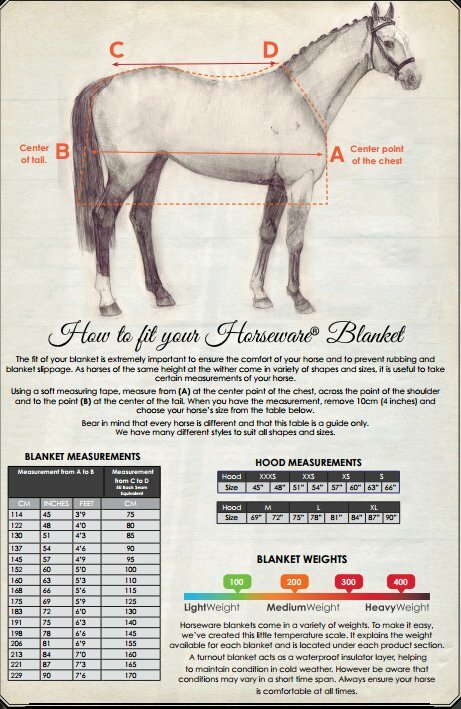 This blanket is meant for drying a horse in the cross ties or when being walked. Not in the stall or other area where they cold roll. For the ultimate show stopping look! Brushed polyester outer with glitzy diamanté and cording trim detailing and matching shoulder ornament. 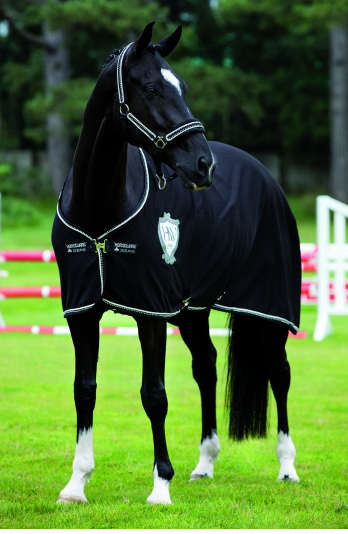 Our luxurious diamanté cooler, is a must for the show season. This stylish cooler features elegant diamante cording trim with embroidery detailing, single front closure, shoulder ornament and crossed detachable surcingle. It is high wicking, good for stable and travel, and perfect for customisation. Wool-like (polyester/viscose mix) outer provides show quality finish with high wicking abilities, detailed cording and matching hip ornament. Classic cut with luxurious details. Leather front closure. 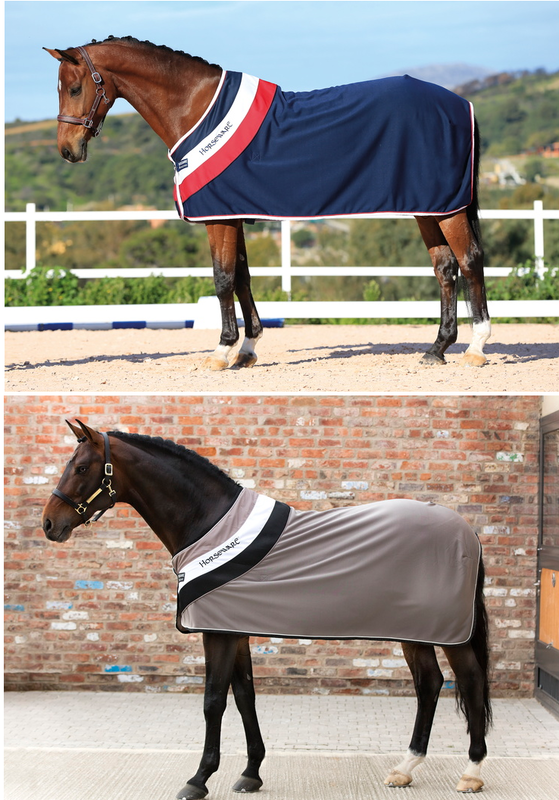 The perfect blanket for customization to give you that prize winning feeling. The ultimate cozy fleece for those chilly days. A hug in a blanket. With classic cut neck and straight front closure, cross surcingles and fillet string to rear. 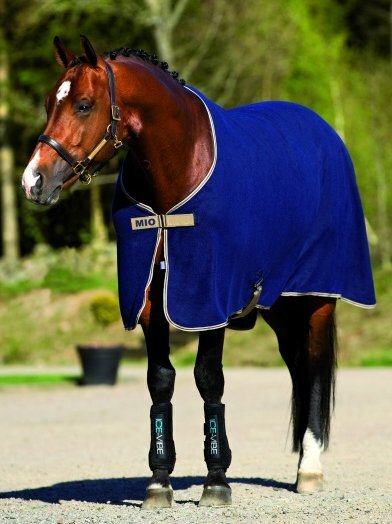 Rich wool outer to help naturally regulate your horses temperature whilst offering super wicking properties. 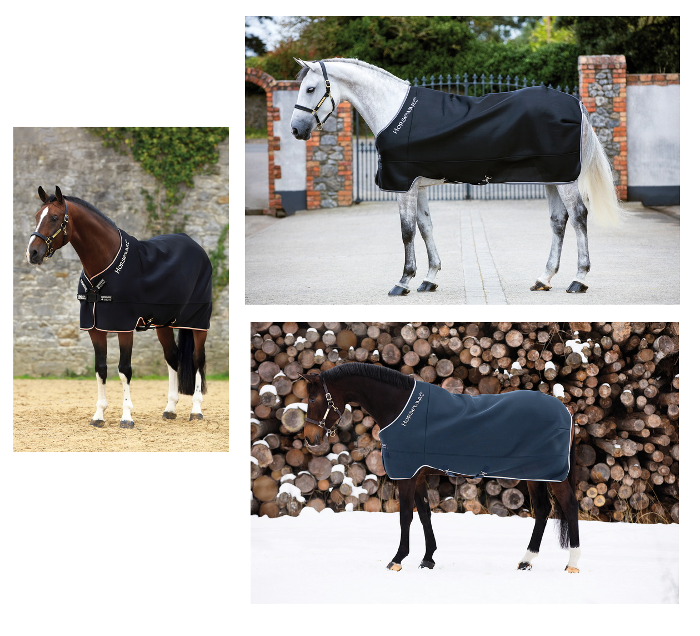 Well known for its thermal regulation Horseware has brought a wool blanket into the collection that can be used by itself or as a layering piece. With a high quality leather front closure, cross surcingles and fillet string to the rear. 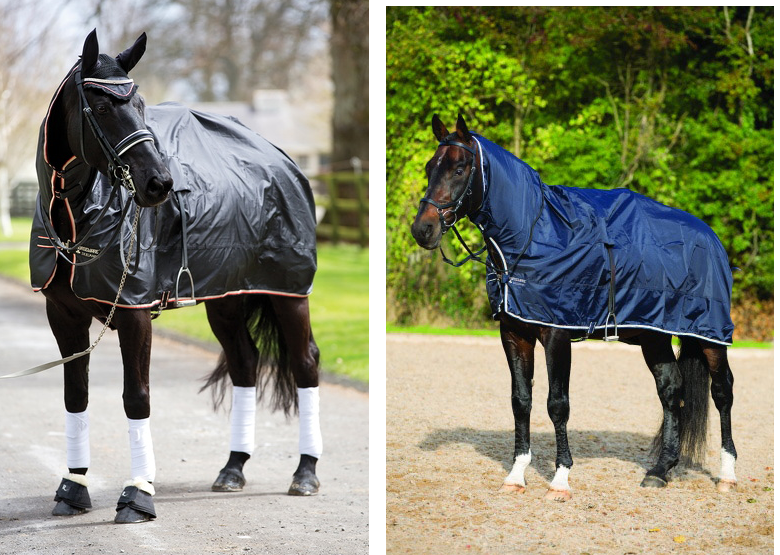 This versatile cooler is perfect for use in the stable, while travelling or at show. Classic cut cooler featuring decorative neck detail with the Horseware logo. Smooth outer to repel shaviings, with a brushed soft inner to absorb sweat and moisture. 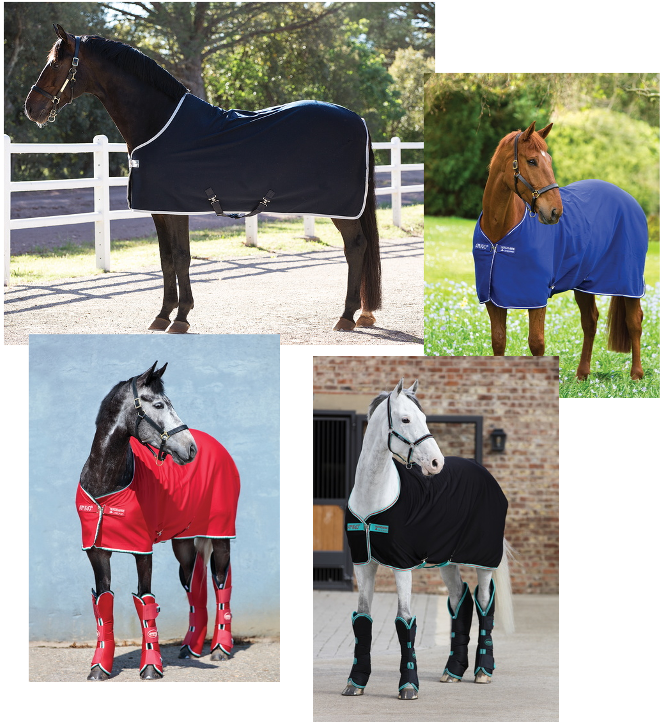 Soft Jersey Cooler wicks moisture away from your horse while cooling him out or after a bath. Includes a belly surcingle to keep cooler in place. Polyester. 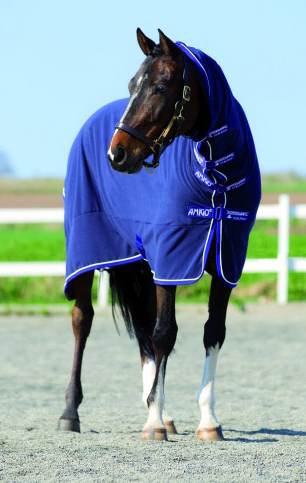 Classic cut cooler which effectively wicks away moisture from your horse whilst keeping them warm. 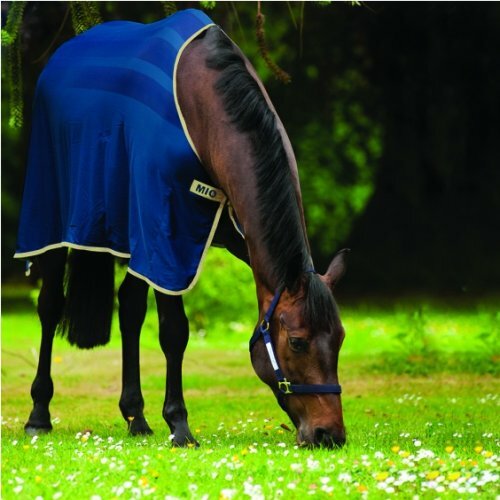 Secure front closure, detachable cross surcingles and fillet string make this a very versatile cooler, perfect for the stable, travelling or at the show. 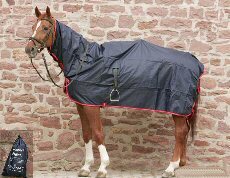 Covering your horse from ears to tail this cooler effectively wicks moisture away whilst keeping the horse warm. 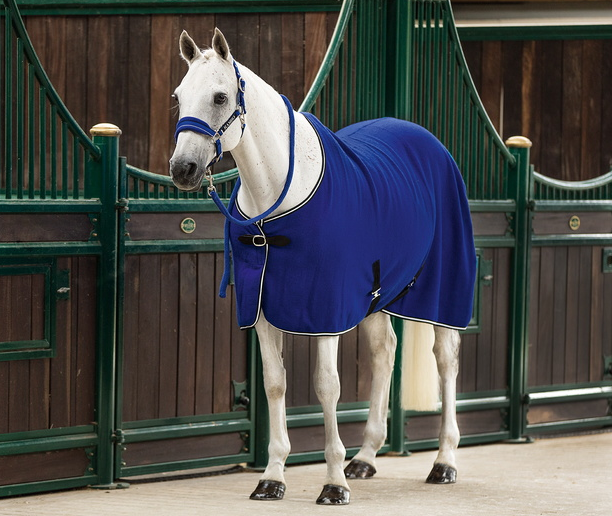 With a smooth outer to prevent shavings sticking, detachable cross surcingles and full neck closures, it is the perfect addition for the colder weather. 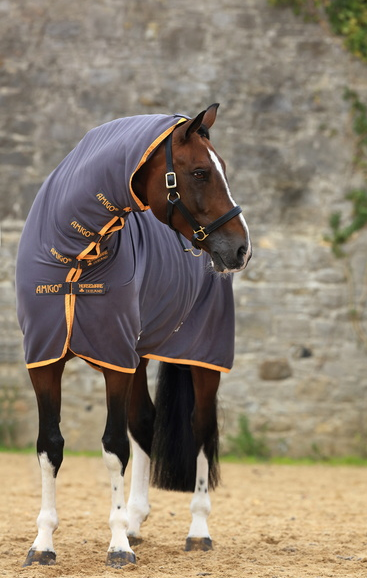 Comes with detachable sross surcingles and full neck closures, it is the perfect addition to your show wardrobe for the colder weather. Comes with handy storage/wash bag. Lightweight anti pill fleece classic cut cooler. Removable cross surcingle, single front closure, fillet string. Lightweight polyester cooler with solid and mesh panels to maintain structure Comes with handy storage bag. 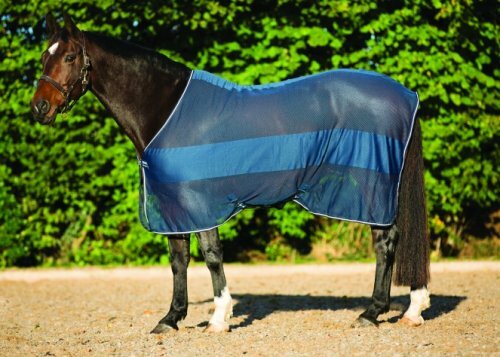 Ribbed polyester outer with silky polyester lining on shoulders and mane. 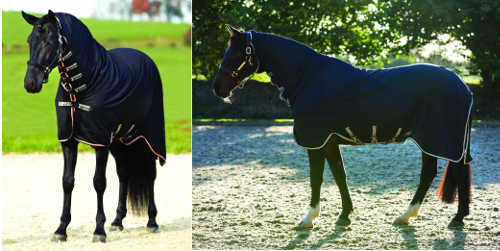 The ribbed fabric design of this blanket saves you hours of grooming by cleaning your horses coat while it moves. The textured fabric lifts dirt and loose hairs away from the coat and through the fabric to the outside to give you a show ready finish without the elbow grease. 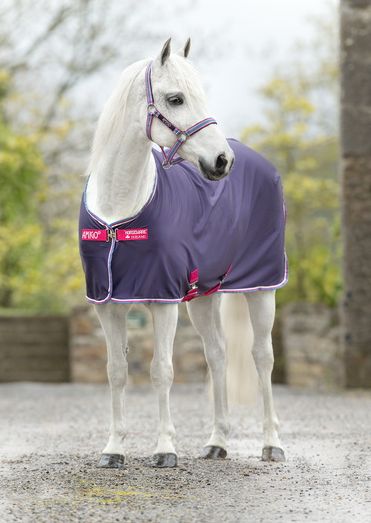 An all in one design with silky lining on the shoulder and mane to prevent rubbing, leg arches and 3 secure cross surcingles give a snug fit while maintaining freedom of movement. Your secret weapon for keeping dry while ringside in the rain!